Last week I shared with you my daughter's room make-over. Thank you for all the sweet comments you all gave me. It made me feel like my hard work paid off! If you missed it, click here. 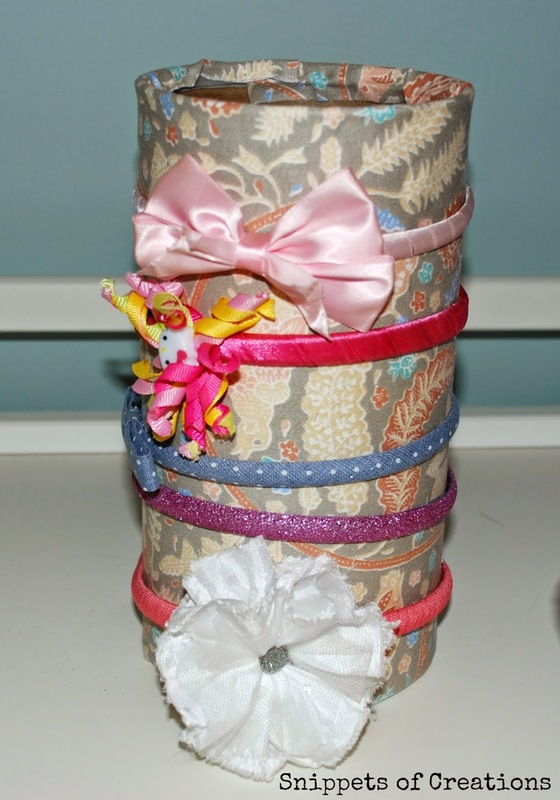 As promised in that post, I want to share with you today how to make the headband holder. This was seriously, the easiest project ever!!! It took me about 20 minutes from start to finish! 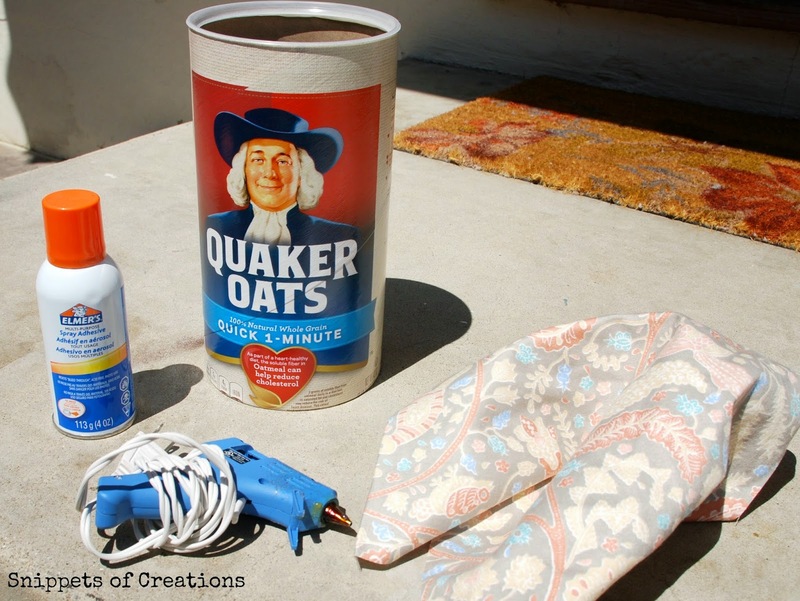 Here are all the materials you need (minus the glue gun ~ didn't end up needing it ~ plus the iron ~ see next step). Yes, only 4 items!!! 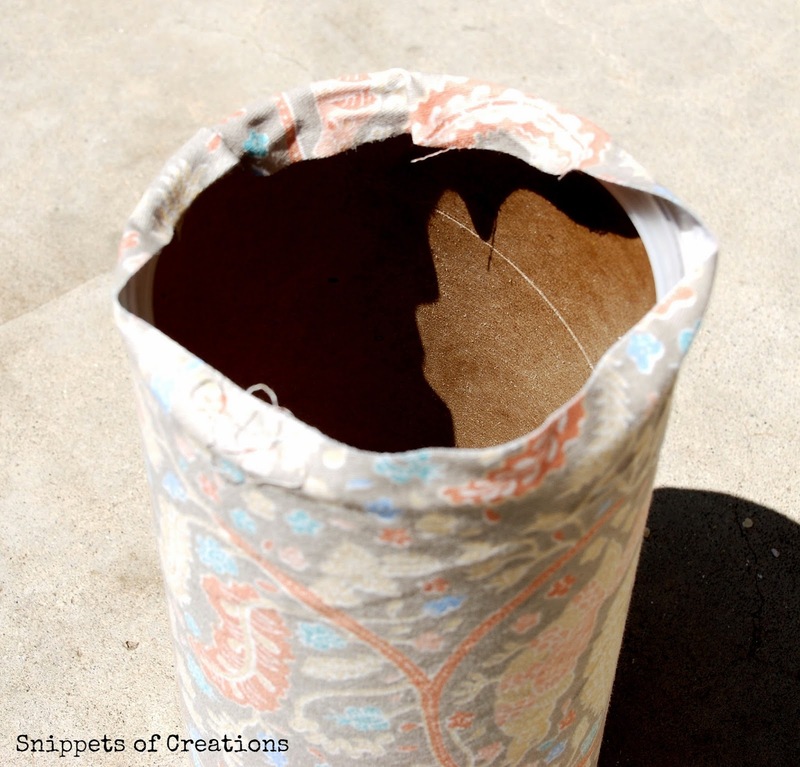 I used the same material I used to cover my daughter's toy chest pad (click here for post) in order to keep with the 'theme' of her room. After cutting the piece to size, I ironed about an 1/2 inch seam because I didn't want a raw edge, it keeps it prettier! I then took the project outside! 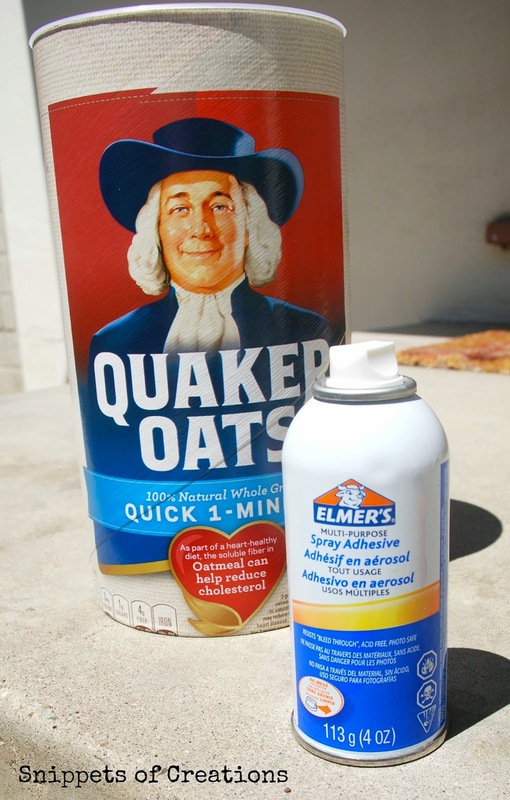 I grabbed my handy spray adhesive and sprayed part of the oatmeal container. 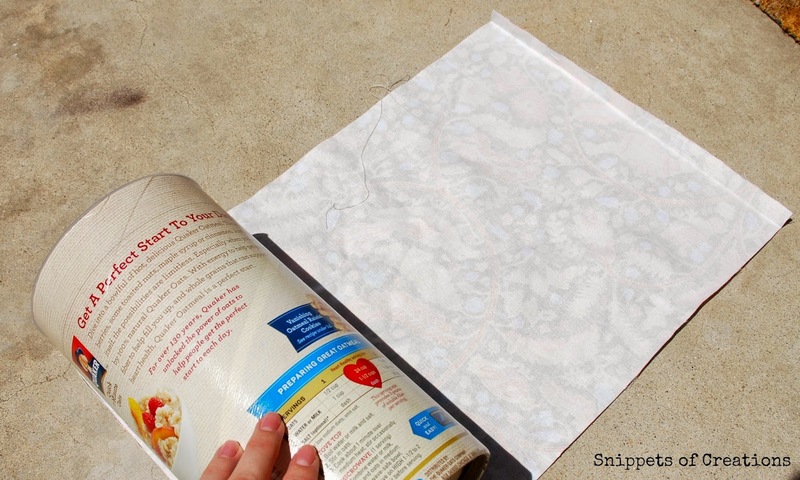 I then laid out the material, right side up, and placed the part of the oatmeal container that had the adhesive on it on the material. 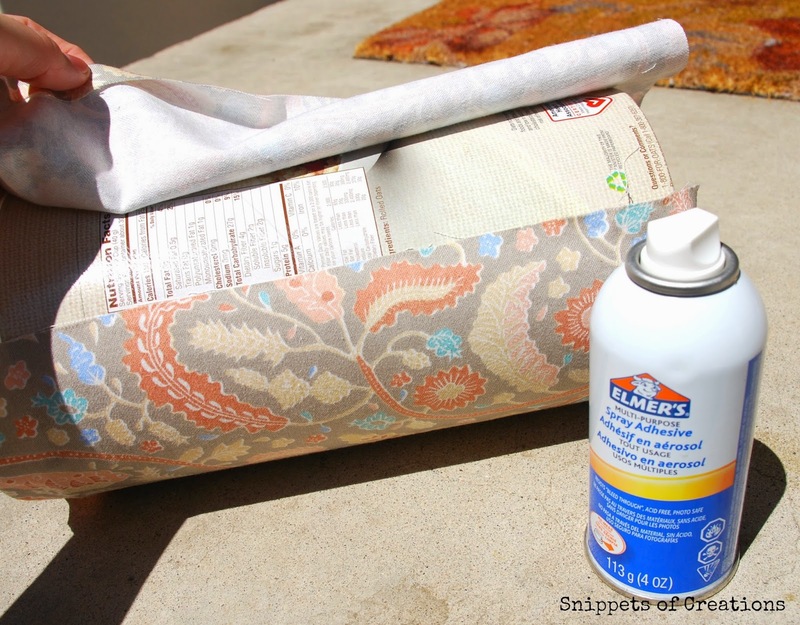 I then sprayed the container as I rolled it along the material until I got close to the end. 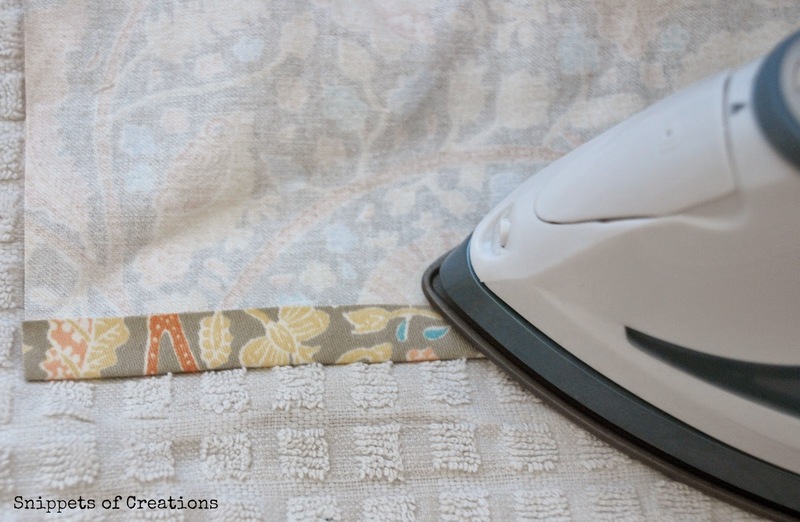 When I had about 2 inches left to cover, I turned the container around so I could carefully guide the part of the material I ironed along the container. This helped smooth the application. Finally, I sprayed the inside of the container at the top and folded the material over until it stuck to the spray adhesive. Perfect place for all her hairbands and easy enough for her to take them off and put them back on! 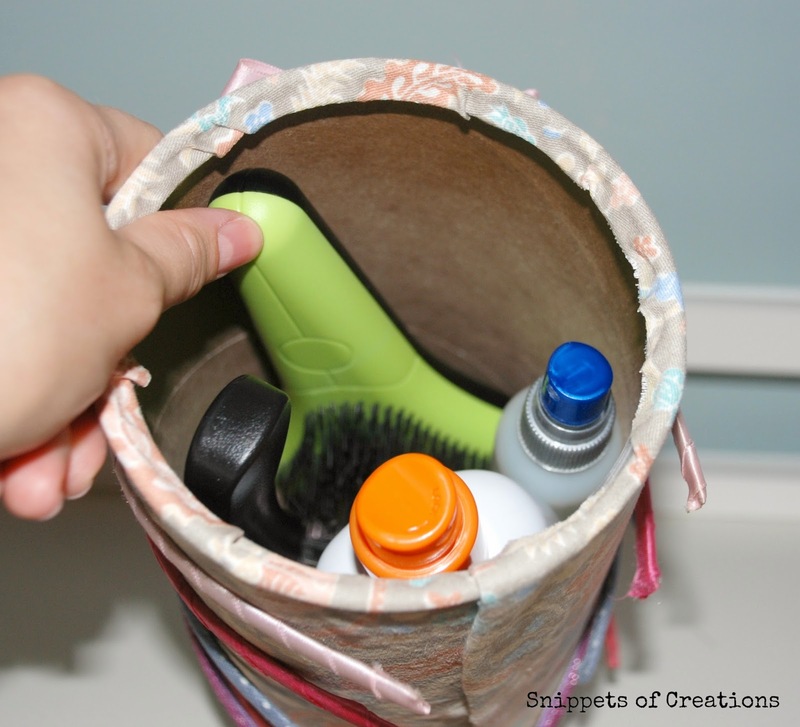 Again, this project was so easy and it's really a clever idea for storing girl's hair supplies! I hope you have been inspired....thanks for stopping by! As you know, I don't have a lot of time on my hands, but I love providing a home-cooked meal for my family, so I'm always looking for quick and easy recipes that are also very delicious. Today, I'm sharing with you another one!! I'm not sure where I found this recipe, but I'm sure it originally came from www.finecooking.com. I had all the ingredients already, so it made it that much easier to make! 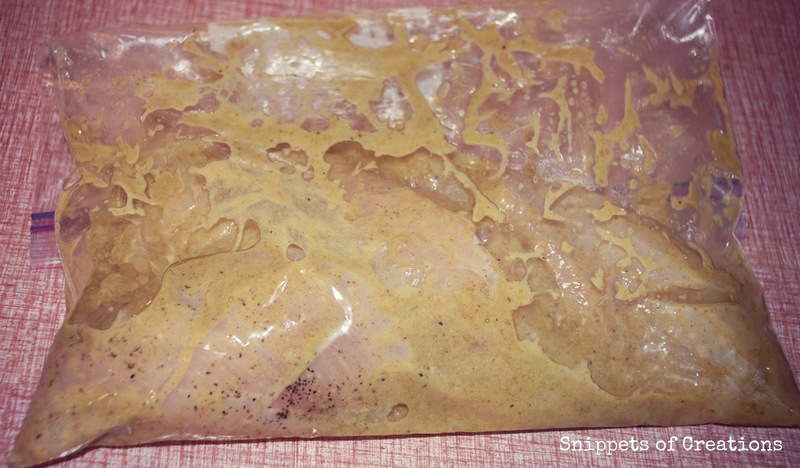 Lay out your chicken breasts and slice about 1 1/2 inch slits on the top (this will help the marinade soak in better). Then, lightly season the chicken with salt & pepper. 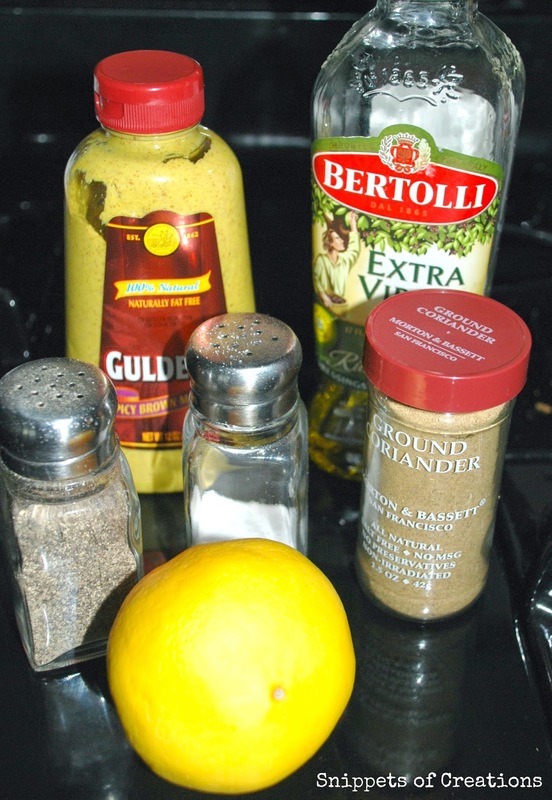 Wisk together 3 Tbs of Olive Oil (you will use the other 3 Tbs later), mustard and coriander. While that is grilling you can prepare your topping. Wisk together the remaining 3 Tbs of olive oil with the lemon juice and basil. Add about 1/4 tsp of salt and a pinch of pepper for taste. 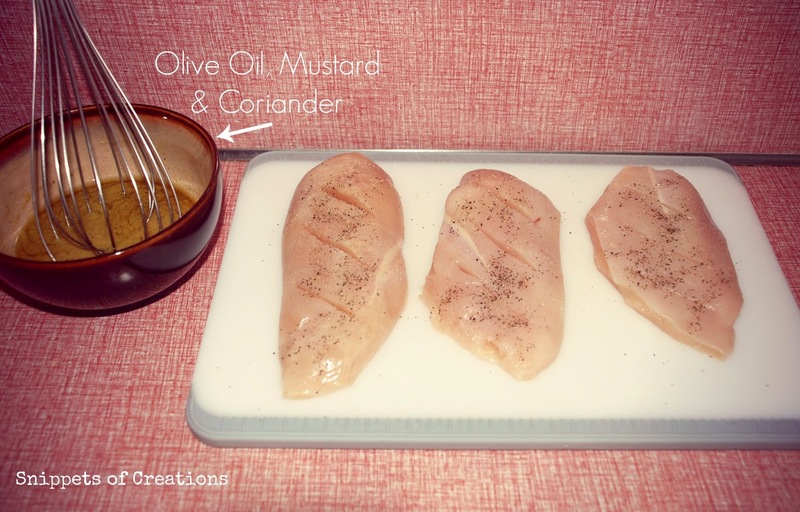 When the chicken is cooked, transfer it to a cutting board and slice it at an angle. Finally, top it with the lemon-basil vinaigrette and serve it with your favorite sides. 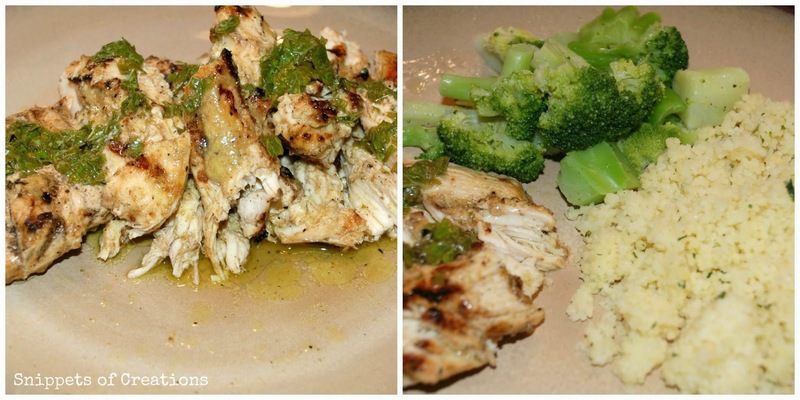 Couscous and veggies go great with this dish! Now you know what you're making for dinner tonight, right? !